[Scoop shops for 2013, pints in 2015] Perry's Ice Cream (of New York) is rocking five new ice cream stand flavors this year and they were kind enough to send them all over as part of their ingenious #PerrysTasteTester project. 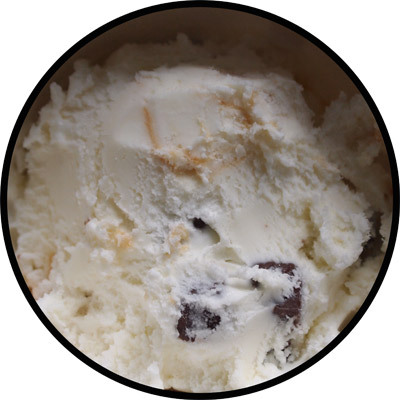 Perry's Movie Time ice cream is popcorn flavored ice cream with sea salt caramel swirls and caramel truffles. That's right, POPCORN flavored ice cream. Turkey Hill tried a popcorn flavor long ago and while it was interesting, it wasn't really a balanced flavor. Let's hope the caramel is the key to making this one POP (sorry, couldn't resist). Ok class, what do we do first? Ok, after we're done staring a bit, what do we do? We take a big whiff of --- one very strong popcorn smell! I'm both intrigued and very afraid at the same time. I'm afraid of way too much salt flavor to be specific, but the other new stand flavors have been excellent, so let's stay positive. I take another whiff and now a fancy buttery caramel smell is coming across. I take a few small bites and yeah, I taste buttery popcorn alright, well I definitely taste butter, and my brain is thinking popcorn anyway. I was hoping for more of a caramel backbone here but it's not coming through, plus the salt factor is fairly strong, but not crazy strong. Let's keep digging. The Perry swirls haven't been very intense these last few attempts. It didn't really matter before but here it does. I absolutely adore caramel popcorn whether it be fresh from the boardwalk or a freshly opened box of crunch and munch from the store. They could have had that here.... but they don't. 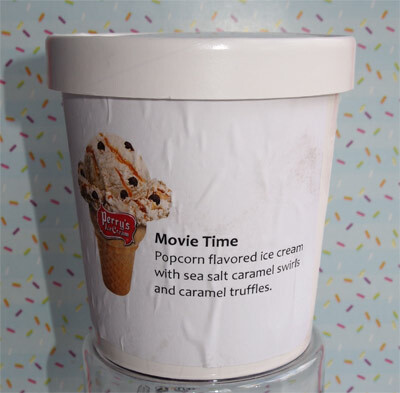 Granted, the name is Movie Time, but when you tease me with popcorn and caramel in the same sentence, my brain starts thinking about a nice ocean breeze and a big bucket of fresh caramel popcorn as I go for a stroll down a new jersey boardwalk. Ok, I just hit the motherload of caramel cubes... and then I dug most of the rest out for good measure (maybe a dozen total). 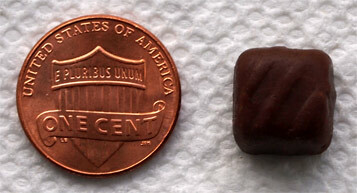 They are tasty bits, but they aren't blasting me with caramel flavor by any means. I just can't bring a strong caramel flavor out here even if I get a spoonful that's mostly caramel swirl. I'm still thinking popcorn first. I'll give Perry's some credit for thinking outside the box, but this one seems more like a gimmick than anything else. I can't imagine trying it more than once. Now if they want to tweak it and really jack up the caramel factor, maybe even add some crunchy chocolate or caramel chips to the mix and call this one.... iunno, boardwalk caramel corn, then we'll have the kind of product I'd go back for time and time again. 2015 Update: Movie Time is now a Perry's Escapes flavor! Whoa...this is a weird concept! Saw this flavor the other week at a popular restaraunt in Baltimore called Woodberry Kitchen. Def something I would like to try. Had this at Frosty in Lancaster. Definitely have it again! Had this flavour once and it became an instant favourite.